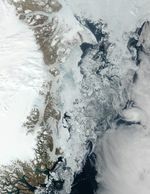 Off of Greenland’s southern coast, sea ice swirls in a giant spiral in the northern Atlantic Ocean in late May, 2004. 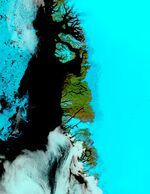 This true-color Moderate Resolution Imaging Spectroradiometer (MODIS) image, taken by the Terra satellite, shows the ice streaming down off of the eastern coast and around the southern point. 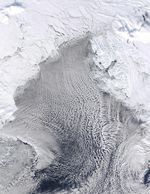 Thin clouds stream over the swirling ice in the lower left portion of the image, though the skies over the land remains clear. 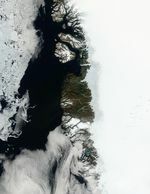 Snow covers the main body of Greenland, but summer temperatures keep the much of the shoreline clear, allowing the brown earth to show through and contrast against the blue waters in the fjords. 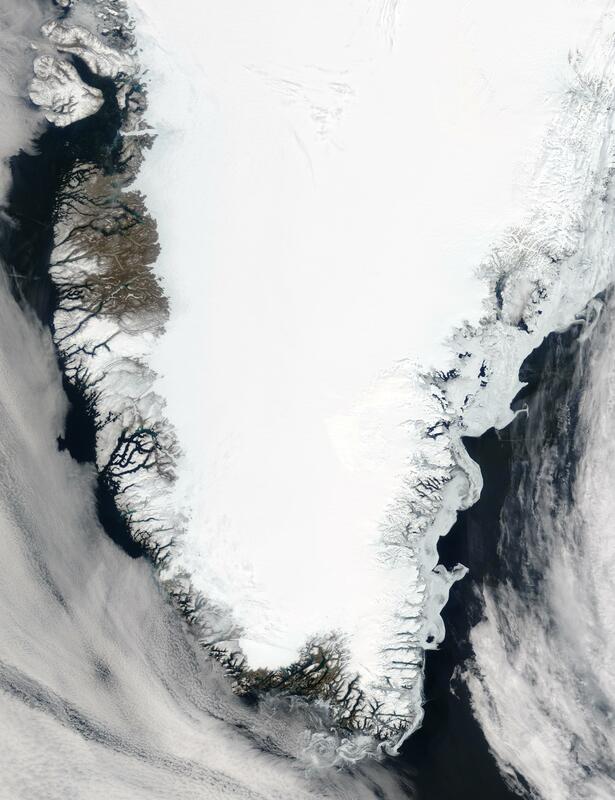 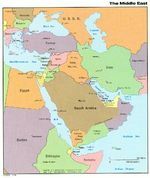 This image is from May 29, 2004.